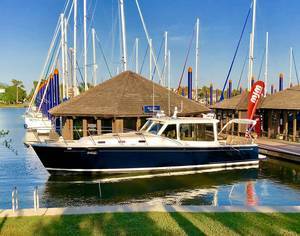 Welcome to Sea Lake Yachts LLC! A Certified Professional Yacht Broker Endorsed Brokerage and New Boat Dealer for MJM Yachts. You will not find another Hallberg-Rassy 41F in the world better equipped than this one!!! Extremely well maintained by current owner and ready to go today. If you are looking for a one of a kind, you have found it!